It’s nearing that time when the new Lili of the Valley stamps go on sale, 3 and 1/2 hours and counting lol. So I thought I would share another couple of Lili of the Valley sneak peeks. I am so in love with these stamps, especially the little boy ones oh and the get well bunny. This little cutie is aptly called Rugby Mad. The stars and trophy are cut with Sizzix dies and the sentiment is Woodware. The paper is Papermania. The second one I have to share is called New Hat – I am loving the shoes 6 sizes to big lol. The paper is MME Penny Lane from Dies to Die For – it’s super sparkly with the centres of the flowers all glittered.The Cherry Blossoms, lace and pins are from Wild Orchid Crafts, the ribbon is by American Crafts. That’s definitely all from me today – three cards in one day, guess who’s been a busy bee lol. I don’t think I have ever enjoyed making boys cards as much as I did using the new releases from Lili of the Valley – they are just fantastic to work with and a dream to colour. Don’t forget they are on sale tomorrow so get there quick before you miss out, I have a feeling these are going to FLY!!! I have used the gorgeous So Sophie mini edgy pad (I think) Bo Bunny – love these! I have splodged Picket Fence Distress Crackle paint around the edges of the paper after I stitched them. The Adage Ticket by Tim Holtz also got the splodge treatement lol. The image has been coloured with distress inks and twinkling H2O’s. The buttons are a mix from Basic Grey and also from my stash. The bulldog clip, string and sentiment sticker is from a Cosmo Cricket kit from QVC that I have had a while. This weeks winner of the Magnolia Dancing Tilda stamp is Jan R. Congratulations Jan, please email me with Magnolia Dancing Tilda stamp in the subject line (to keep me right lol) so I can arrange to have the stamp sent to you. Entry is by Mr Linky only. All you need to do to enter the draw is leave a link to your blog in Mr Linky so I can find you and if you fancy, mention it on your blog (that would be great, but not necessary to be in the draw). The winner will be announced on Friday 4th June. Happy Sunday everyone (and it’s no work tomorrow so even happier lol). Once a month the Whiff of Joy DT post on the Whiff of Joy Tutorials and Inspiration blog and as I have had a real busy week I have done a quick tutorial on how to make these dahlia-type flowers. I was playing – as you do – whilst demonstrating at one of the shows and quite liked the look of this flower. The instructions are posted on the Whiff of Joy Inspirations and Tutorial blog if you want to go take a peek. The paper is Webster’s pages (OMW I just adore these and had a serious hyperventilating fit at having to cut them even though I bought spares). The flourish is a Bosskut die. I kept the embellishments to a minimum so as not to hide too much of the stunning paper. Donna at Bearly Mine Crafts is having a Bank Holiday sale so if you’ve been thinking about getting some of those gorgeous digi papers now’s your chance!! Katharina is giving away a free digi stamp today, and it’s just too stinkin’ cute!!! Meet Spidermouse Henry lol. I had such fun colouring this little cutie and my grandson immediately claimed the card as “his”! This card is also for my Create4Fun Challenge DT card, it’s such a fabulous sketch this week! I was terrified to colour this little guy, I had not attempted to colour bright, dark colours with Copics so sat and stared at the image for ages. But it is a dream to colour, so easy! Now I did write the colours down but can’t find the paper I wrote them on (had a blitz in this craftroom yesterday and now can’t find a thing! I used some silver braid to weave across the card to resemble a web (I was going to draw a web but chickened out at the last minute in case I wrecked the card.) The papers are Papermania that I picked up in a sale a while back. So, if you want this amazing free digi, click on the pic below to go to Katharina’s blog to download it. Can’t wait to see all the little Spidermouse Henrys whizzing across t’internet lol. This week the prize up for grabs is a Magnolia Dancing Tilda stamp. 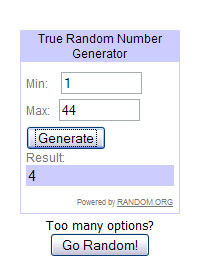 This is NOT a candy draw - the winner was drawn before this post was done. At last I have managed to get this photographed. It’s just a little something to say thank you to all my fabulous followers that take the time to visit and leave a comment. One of these days I will be caught up enough to be able to visit you all. I have drawn a winner from the comments left on yesterday’s post and the winner is Squirrel. Please can you email me your address sweetie so I can pop your prize in the mail. The challenge this week on Just Magnolia is a theme for a change – Hot and Spicy. This can be interpreted any way you like. You can go with Hot as in summer, weather, colours, holidays or Spicy as in colours, heat, colours or both – it’s up to you. I could not get my brain around the spicy bit so took the easy Hot option and went for summer. Who doesn’t like strawberry picking in the summer lol. I think this little Tilda is from last year’s summer kit. I’ve coloured her with distress inks only for a change, not a spot of Twinks in sight. I’ve stamped the image with Versafine Black ink onto Fabriano Classico 5 Fat Pad hot pressed watercolour paper. The papers are old and discontinued Cosmo Cricket papers (the best they made IMO). I have smeared Picket Fence Distress crackle paint around the edges of the paper (saved sewing them lol). The flowers and heart pin are all from Wild Orchid Crafts and I have used 15mm roses, 20mm roses and a 35mm wild rose. The gorge gingham ribbon is from the Craft Fairy. All the punches are Martha Stewart punches, the Monarch Butterfly is on sale at Dies to Die For, the border punch is the Floral Vine deep edger punch and I can’t remember the name of the leaf punch – it’s an age thing you know. Talking about age ….. I went to the hairdressers for a mop crop a few weeks back and she said she loves the colour of my hair. I told her I was thinking of going back to my natural dull brown colour cos I was fed up with root regrowth. Know what the she said??? She said my “natural” colour is now grey as I’m more the 60% grey!!! Well my gob was well smacked!!! Natural colour grey indeed. Not a chance so back to the blonde I go rofl. I’ll be back later with the Simon Says Stamp weekly Magnolia candy and tomorrow with a link to a FAB digi image that Whiff of Joy will be giving away so keep yer eyes peeled lol. Today the Lili of the Valley DT are all sharing a project made with one of the fabulous new stamps that are going to be released on Tuesday 1st June 2010 – Midnight GMT. There are 12 new stamp designs – 4 Dressing Up Girls, 4 Boys, 2 Babies, 2 Get Well designs. All overseas postage will be reduced to £3.50 and orders over £25 will get free shipping from 1st June 2010. And to top it all off there is some fabulous candy up for grabs!!! Win a full set of the new stamps on both the Lili of the Valley Challenge Blog (Thurs 27th to Sat 29th May) and the Lili of the Valley Ideas to Inspire (Sat 29th May to Mon 31st May) . So you get two chances to win before they are even released! So now to the challenge. As well as the fabulous candy that’s up for grabs on the challenge blog, we are also giving away 2 Lili of the Valley stamps of your choice to the winner. We are changing the rules, from now on only cards that have a Lili of the Valley image will qualify to be in the draw for the prize. I’ve provided the sketch this week. A nice and easy one with plenty of room for embellies overkill rofl. Now I don’t know the name of this little cutie preening in front of the mirror but she is just the cutest all dressed up in her mammy’s clothes. Check out those shoes lol. The embellishments are all from Wild Orchid Crafts – I used the green Crystal Drops, 15mm roses, 35mm wild rose, and 6mm closed rosebuds. The sentiment is also from Lili of the Valley and is just perfect for this stamp. I’ve had lots of emails about the green curlicues in the flower arrangements – all I do is twist the waste stems from the flowers around a pokey tool, easy peasy lol. A close up of this little cutie that I have coloured with distress inks and Twinkling H2O’s. Please pop over to the challenge blog to see the DT’s cards with all the new stamps, they are fabulous! I was asked to do a guest spot for The Pixie Cottage a while back (thank goodness I scheduled this post else buttons for brains here would have forgotten all about it!) I supplied the sketch for this challenge. I chose the Pixie Cottage Hannah on Bench Stamp by Sandra Hammer to use. It’s a large stamp so I decided to spotlight it and just use part of the image for my card. Isn’t she just so sweet! I took a break from my DT work yesterday and made a card following the fab sketch on Stamp with fun challenge done by Tina. I have been itching to use the new digi papers from Bearly Mine Crafts. I have used the Floral Dreams papers plus the Gingham papers that I got last week. I love how all these work together. I love yellow and pink together (nearly as much as I love green and pink lol). I coloured the image – Looking at you by Gillian Roberts – with Copics and can’t find the paper that I wrote all the numbers on (I’ll update this post when I find it.) The cherry blossoms and 15mm roses are from Wild Orchid Crafts, the leaf punch is a Nellie Snellen Floral Branch punch and the Monarch butterfly punch is Martha Stewart. The papers are from the pack from Costco that my son got for me months ago – it’s full of this dark, vintagey papers and I love them even though they are so not my usual colours. The gorgeous roses are all from Wild Orchid Crafts, 15mm roses, 40mm Tea roses, 25mm Tea Roses. The lace is from my stash (have it this one for years and can’t remember where I picked it up from). I gave it a vintagey treatment with some Vintage Photo distress ink. The finding at the top of the image was a gold colour, I just painted it with Picket Fence Crackle pain and dabbed some Vintage Photo ink on to age it a bit more. The sweet image is from Sugar Nellie. I’m not sure if the sentiment is working but I was determined to start my Christmas cards lol. I coloured the image with distress inks – Antique Linen and Dusty Concord for the dress, shoes and bow, Tattered rose for the skin and Frayed Burlap for her hair. I’m off work this week (got lots of DT commissions to get through so not sure if I will be on much this week at all – I have scheduled some posts to tide me over whilst I get cracking on this work). Have a great week everyone.